So we’re all in love with interior greys, falling head over heels for silvery hues on walls, floors and even ceilings but what about outside? 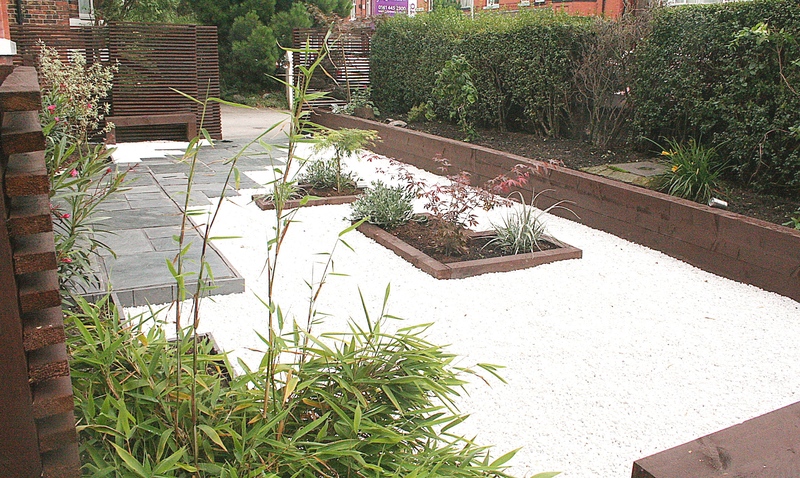 For years the go-to-colour for fencing and furniture has been all shades of brown with the occasional colour pop or flash of white but I’ve a feeling that’s going to change! One of my Expert Day spaces at Bents focuses on this very subject so I couldn’t very well not have tried it out to make sure it works, could I? 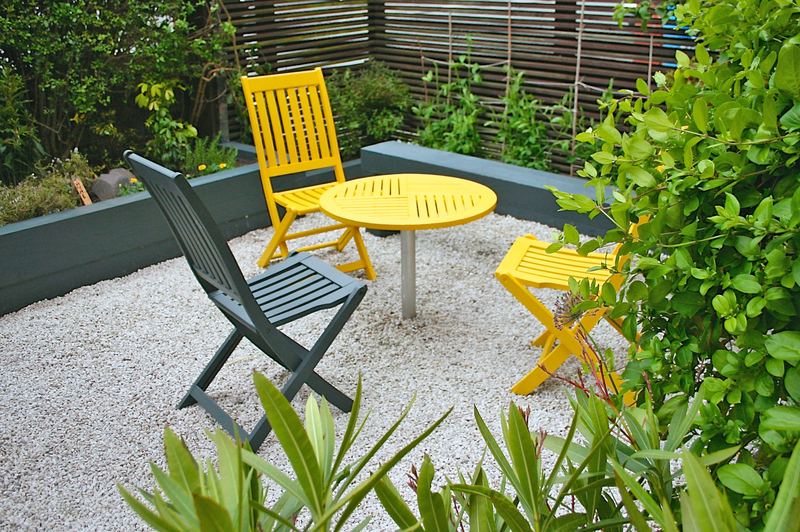 We’ve just updated one of our rental gardens, which I designed around 8yrs ago. 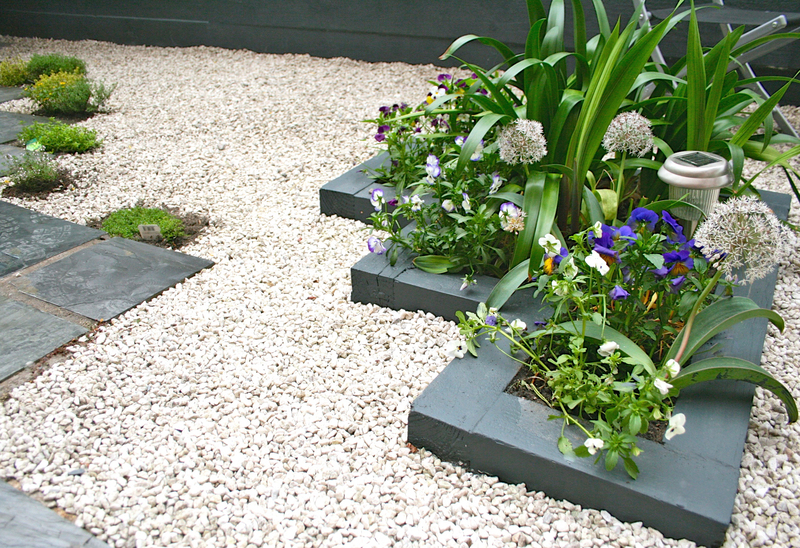 The design itself has stood the test of time but the chocolate brown paintwork to the walls, raised beds and benches looked a bit dated, and the original slate path looked far more contemporary. However we hit a snag as when we started to paint the long brown sleeper wall and realised it had started to rot away from behind! The rear side of the original sleepers hadn’t been protected from the damp soil and so over the years severe wet rot had attacked the timber, compromising its strength and stability. Some could be saved and so the soil was dug back and plastic sheeting slipped down the back to protect them from further damage but some were totally rotten and had to be puled out and replaced. There’s a lesson here, always check that any garden timbers are protected with plastic membrane or sheeting before you back fill with soil! New sleepers were ordered and brute strength was needed, i.e.Mr M who just *loves* his gardening 😉 It all got a bit stressful as with bad weather, limited time and my bad back! 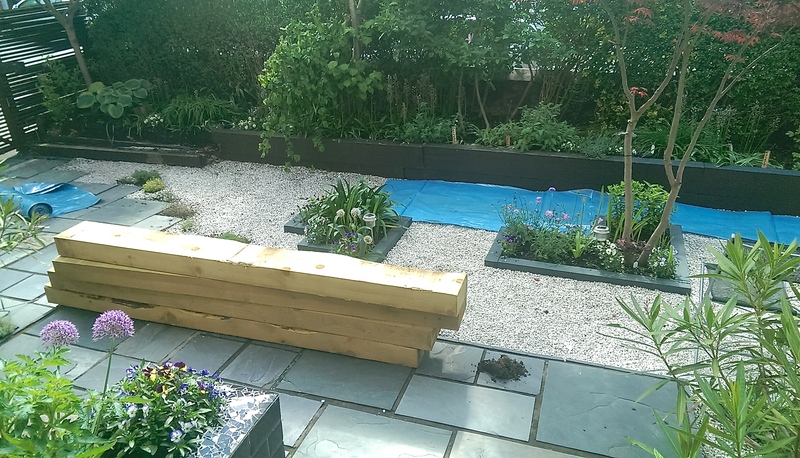 Finally we finished the dirty work and the bare timber sleepers were primed & undercoated with a water based external dual purpose paint and then top coated with their Evening Coat, banishing the brown and giving the garden a fresh feel. I love the grey with the whites and purples of our violas, creamy alliums and lush green leaves of the summer flowering agapanthus. And how amazing is my new lupin, he’s a beaut! 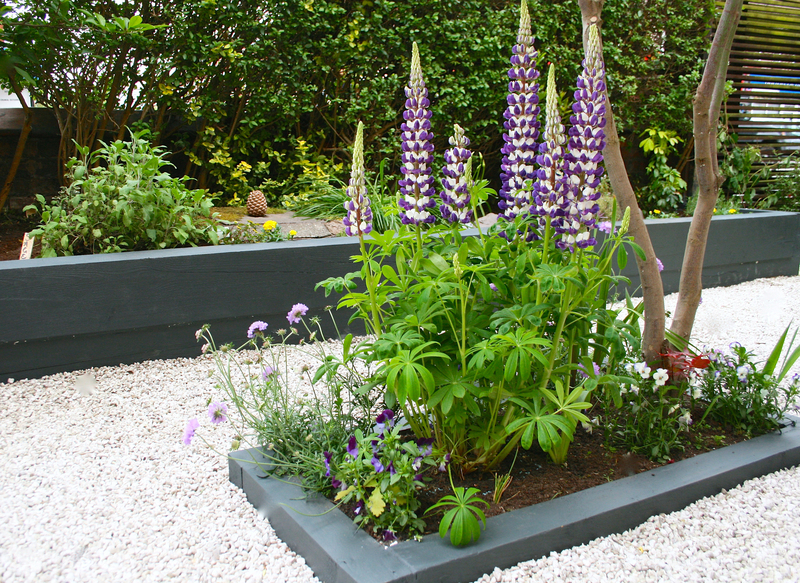 If you fancy coming along to see this garden ‘in the flesh’, we’re taking part in the Didsbury Open Gardens this Sunday June 14th, click HERE for details. 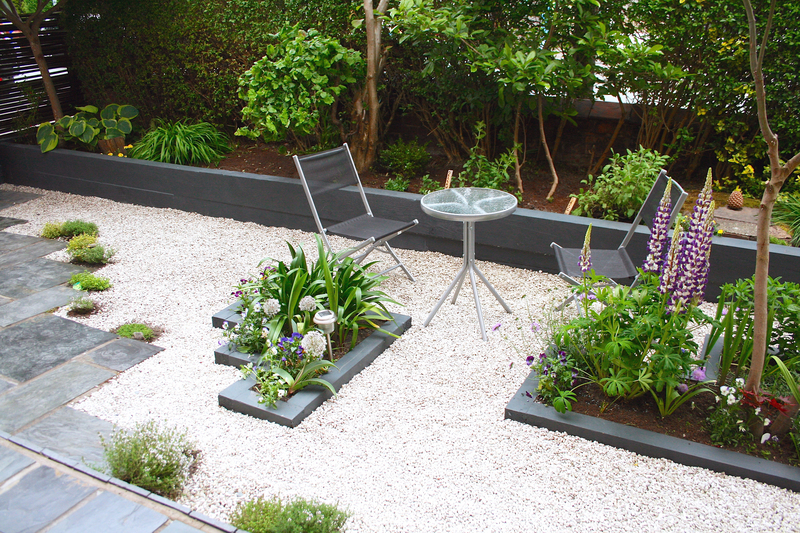 Trend Watch: Gardens Going Grey, In A Good Way! 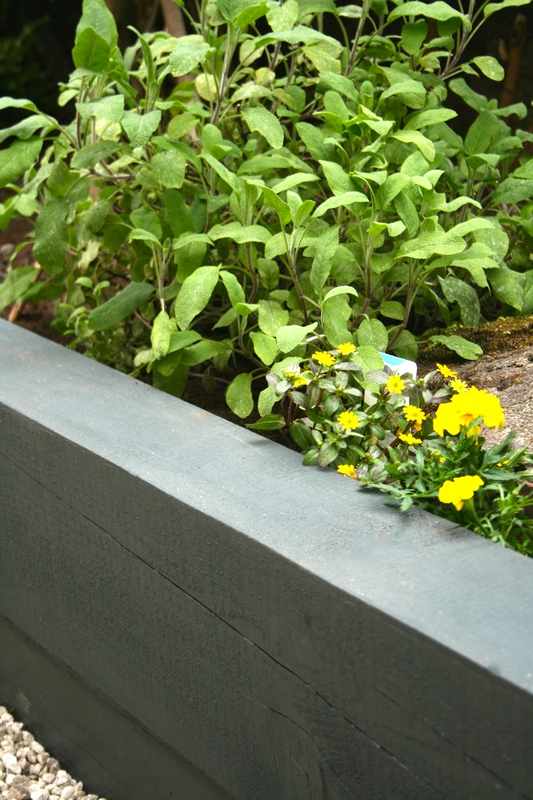 Love the sleeper wall, we’re about to do same around our garden. Never thought of painting them, the grey is very stylish.